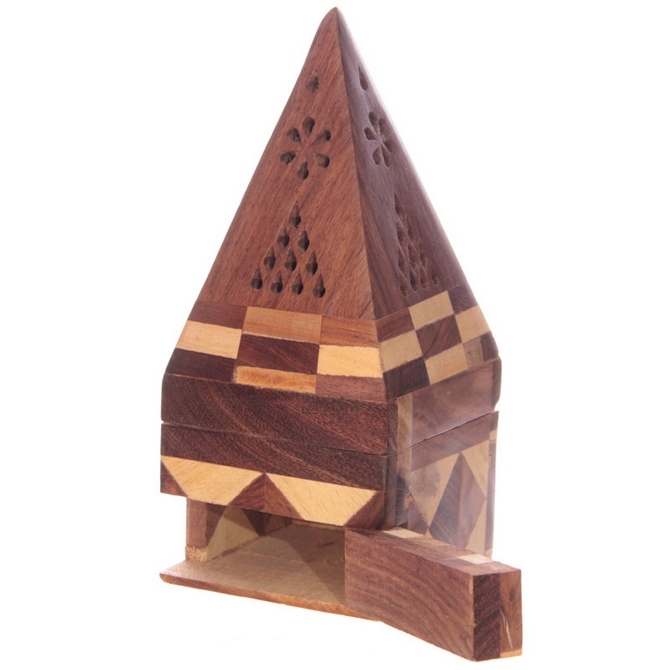 This wooden Incense Burner Box is made from Sheesham wood, a hard Rosewood indigenous to India. 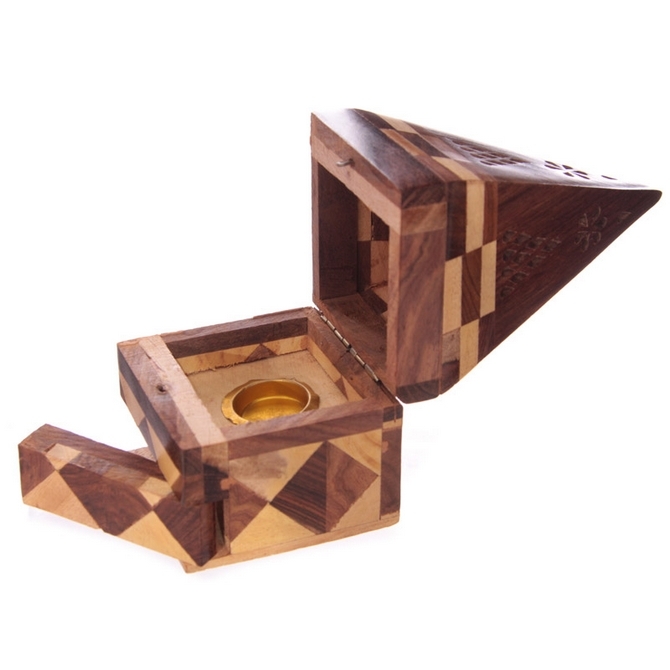 The wood for this item comes from renewable forest plantations. 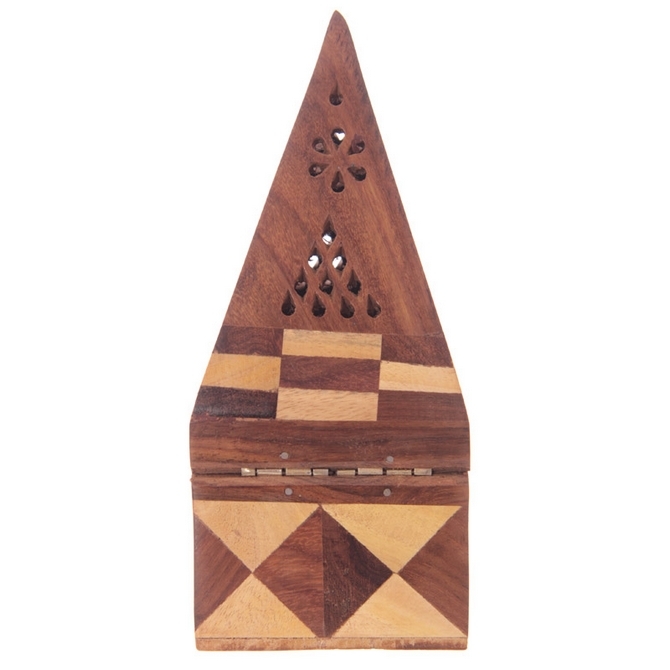 Each item is hand made in India and has been finished with inlaid wood and fretwork details. 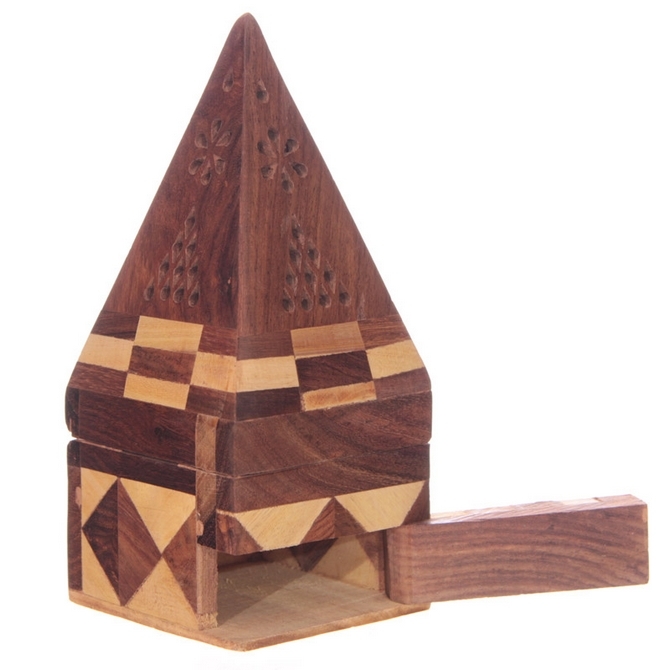 The box has a compartment along the bottom for storing incense. Our Sheesham products are waxed to bring out the natural colour and finish of the wood.